Reverend Ted T. Fielland has served as our pastor since 1997. He can be reached by email fielland@hotmail.com or phone (813) 787-8172. His office hours are Wednesdays 12:30-2:30 and other times by appointment; please, call to schedule. 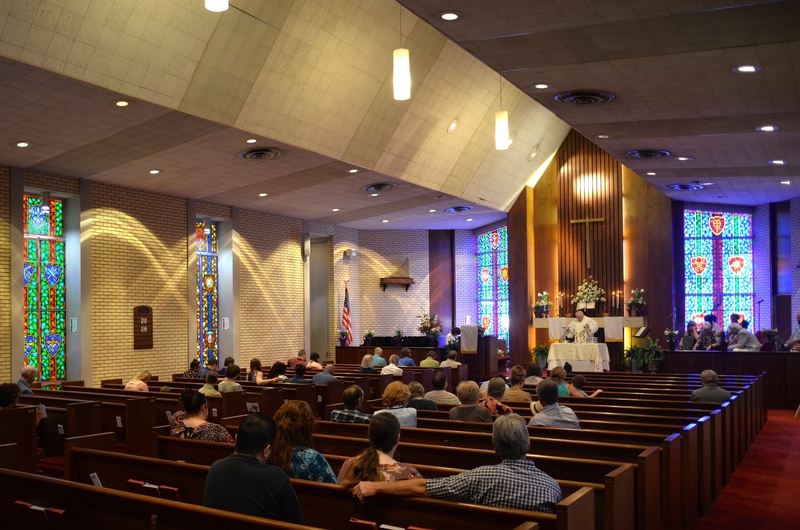 Holy Communion is celebrated in the Sanctuary on the first Sunday of each month. Sunday morning service is from 11:00 A.M. to noon in the sanctuary at 212 Inverness Avenue. We celebrate Holy Communion which is open to all on the first Sunday of every month. Special Worship Services are held for St. Valentine’s Sunday, Ash Wednesday, Lent, Easter, Advent Sundays, Christmas Eve and Member Recognition Sunday (twice a year). Other special days of the Church Year (e.g. Pentecost) and the “cultural and national” calendars (e.g. Mother’s Day and Independence Day) are also recognized for their significance in our lives. Carolyn Arey is Chairman, and Melissa Hall is Vice-Chairman. Debbie Anders is Secretary/Treasurer, and Janet Moyer is Accounting Consultant of our Church Council. Other 2018 members are Julie Borntrager, Landee Fielland, Matthew McIntosh, Linda Rhodes, Barbara Richards, Jared Thompson and Phyllis Warrick. 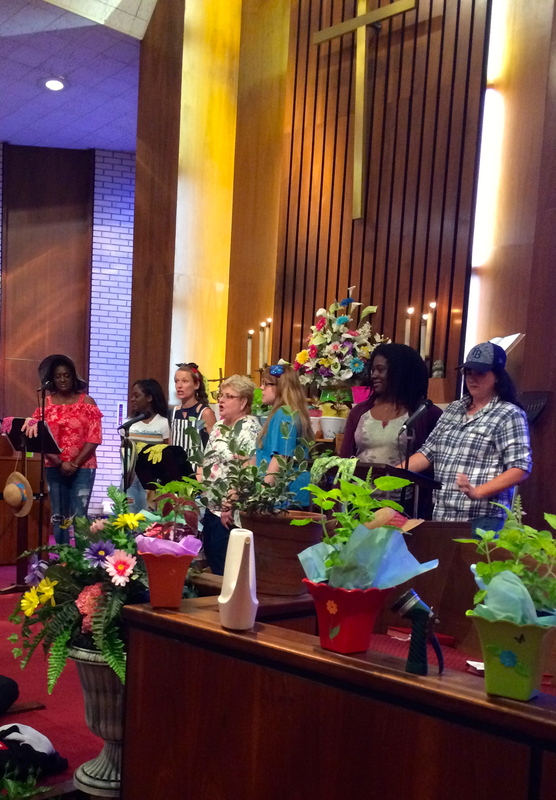 A Mother’s Day Program was performed by the Church Choir, directed by Suzanne Reid, 2018. Our choir is directed by Suzanne Reid. Practices are on Thursdays at 7:00 P.M.. and Sundays at 10:15 A.M. in the sanctuary. New members are always welcome. Adult Bible Study is now being held in the Parish Hall, Wednesdays at 6:00 P.M. We are currently reading 12 Rules for Life by Jordan Peterson. It is Amazon’s Bestseller for Millennials, GenX’s and GenY’s. Come join us for fellowship, learning and light refreshments. We currently provide “We Care” bags for the homeless which can be picked up in the narthex of our church to be distributed to the needy. We also collect non-perishable food items for the Food Bank of Temple Terrace. Donations may be left in the narthex or the church office. During Christmas, we volunteer at Metropolitan Ministries and collect “shoeboxes” for Samaritan’s Purse. Our Women’s group, Women of Wonder or “WOW,” meets several times a year and plans programs that benefit the entire congregation. Among the activities sponsored by WOW are potluck lunches and dinners, rummage sales, refurbishing crews, church clean-ups and yard clean-ups. 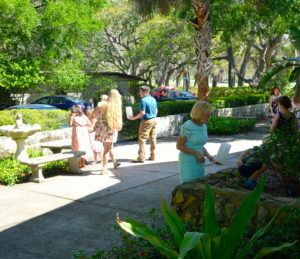 An Easter Egg Hunt entertained during Children’s Church on Easter Sunday, 2018. Children attend the beginning of Sunday Worship Services with their families. During the service, Pastor Fielland invites them to the altar for a special children’s message. 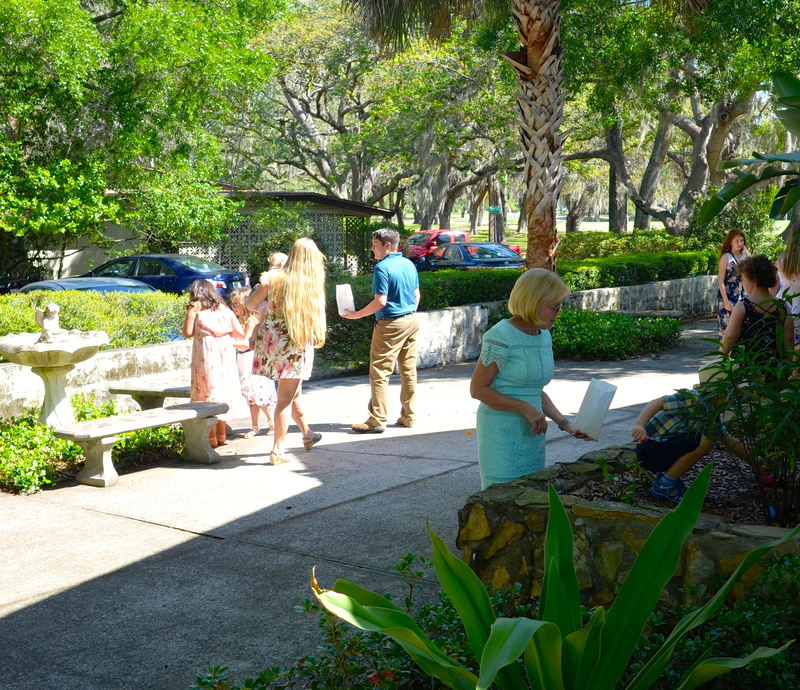 After his message, the children attend Children’s Church with Marsha Fielland, the pastor’s wife; and then they return for the conclusion of the service. The Delbert Miller Nursery is located at the back of the main sanctuary and provides a secluded space for parents with infants and/or small children. From there, the Worship Services can be seen and heard.